Our single axle trailers are suitable for a variety of applications. They will range from a 4' wide trencher trailer, up to a 7'x12' utility trailer. Depending on the size, they will have a gross vehicle weight rating between 1,500 and 3,500 pounds. 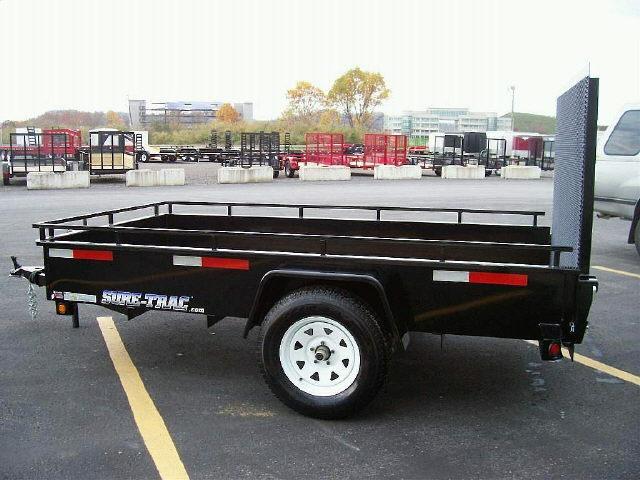 * Please call us for any questions on our single axle trailer 2000 3500 gvwr rentals in Toledo OH and Perrysburg OH, serving the Toledo metro area.